It's not about dollars. It's about how many ounces of gold you own. I could buy 14 ounces at $1,779. 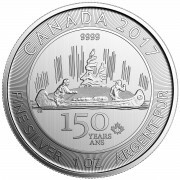 I could buy 14 ounces at $1,699 and get back change, but not enough to buy 15 ounces. I could buy 28 ounces at $1,779. I could buy 29 ounces at $1,699 and get back change. I could buy 56 ounces at $1,779. I could buy 58 ounces at $1,699 and get back change. The “size” of my pile of gold really wouldn’t change very much, even if I made a large purchase. Even a $250,000 purchase would vary by just seven ounces 147 versus 140). When you think in terms of DOLLARS, the savings are nothing to sneeze at but honestly, in the end, your pile of gold does not change by much. If you insist on getting the best possible deal, knowing that no one can pick the bottom unless they are very lucky, then the next best thing is to dollar cost-average your purchases. Very few people buy gold that way. In fact since I started selling gold in 1983, I can’t remember a single person who dollar cost-averaged their purchases with me, not one. Using the above example, I could have saved 4.4%. If all of my purchases were within 4.4% of the bottom, I would be way ahead of the game. Bernard Baruch said, “Don’t try to buy at the bottom and sell at the top.” If you fast-forward ahead three years, whether you paid $1,779 or $1,699 an ounce for gold will be insignificant. 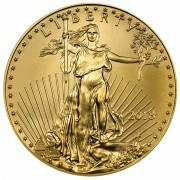 There is a very good chance that by 2014, gold will be selling for at least twice what it is now. Believe me, when gold is selling for $3,500 an ounce you won’t remember if you paid $1,779 or $1,699 for your pile of gold. Three years ago, gold was selling for around $800 so my estimated price of $3,500 in the fall of 2014 is not so far-fetched. 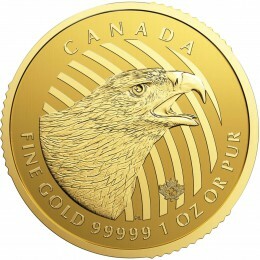 As an aside, I have purchased gold at every $100 price point, from $300 an ounce, at $400, at $500, all the way up to $1,800. I buy gold when I have extra dollars sitting on the sidelines. I will be buying more at $1,900, $2,000 and up as well. Of course, you can take Larry Edelson’s advice and wait until gold drops to $1,500, but you run the risk that while you wait, the price will end the year at $1,900 or more. It’s your choice. I made mine. I bought gold at $1,779 and $1,750 this month and never second-guessed myself. 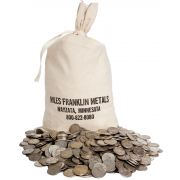 I am not smart enough to catch a bottom, but I have a large pile of gold coins at our storage facility in Montreal through the Miles Franklin International Precious Metal Storage Program. In the third quarter, total central bank gold purchases more than doubled over the same period compared to last year. The world’s central banks are dumping dollars for gold. This is the beginning of the end of the U.S. dollar as the world’s reserve currency, and it’s happening right now. As a result, it will get more and more expensive for you to move out of the dollar. Don’t wait. Here is an email I received from Ranting Andy Hoffman, last evening. The boyz are scrambling to get enough silver to meet demand. We have 3 major withdrawals to report from Monday’s COMEX silver inventory movements, including an almost unprecedentedly large withdrawal of 2.3 million ounces from Brinks’ vaults! *TOTAL COMEX SILVER INVENTORY declined to 105,886,622 ounces. Clearly COMEX silver inventory volatility is increasing almost exponentially now, as customer confidence in the integrity of the exchange itself is now shattered in the wake of the MF Global theft as the CME has refused to make the customers good on the MF Global/JPM theft, and the bullion banks scramble to shift the remaining phyzz under their control around to meet delivery requests and put out fires.